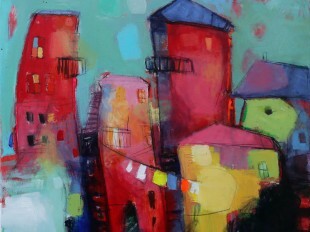 Rashid Aghamaliyev is currently studying production in the Film and TV School of Academy of Performing Arts in Prague. 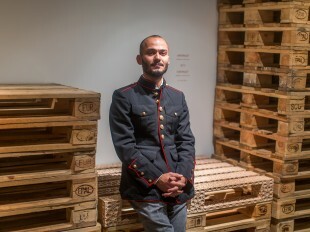 He grew up in Baku, and his background is intriguing: his father is an Azerbaijani commercial diver who spends weeks at a time deep underwater in the Persian Gulf; his mother is a Russian painter who teaches art classes to children in Baku and Prague. 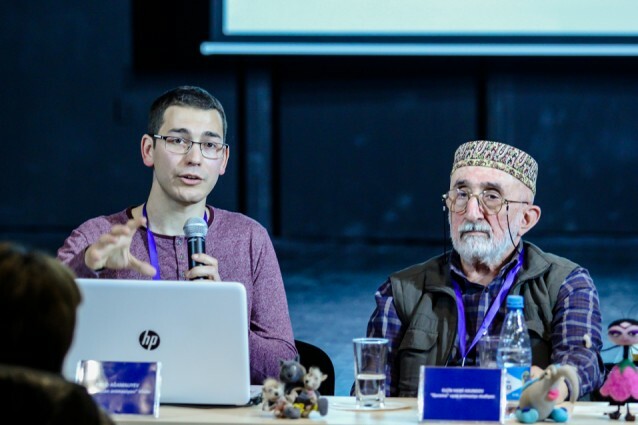 Visions staff writer Martha Lawry met with him in January to talk about his current passion project: collecting and publishing an anthology about the history of animation in Azerbaijan. VoA - how did you get the idea to do this animation book? RA- It’s a very long story. To make it short, my mother Olga Aghamaliyeva teaches kids how to paint. She has been coming and going between Prague and Baku. When she teaches children art, she uses cartoons as material. She has her students in Baku draw some Czech cartoon characters and make dolls in different techniques. 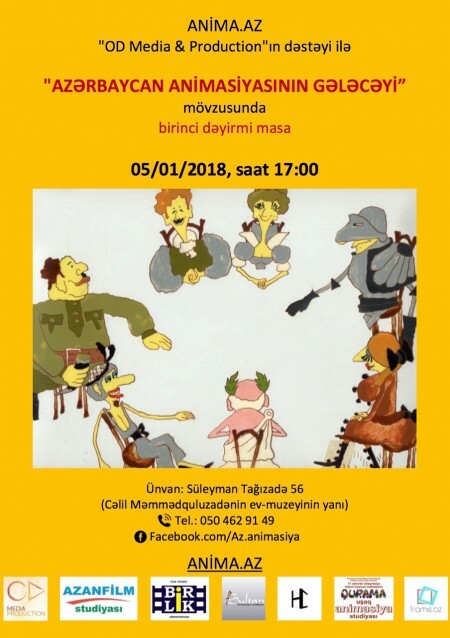 She also has the children from Prague watching and drawing Azerbaijani characters, so this is like a kind of dialogue between cultures through animation. We thought it would be cool if we could organize a small exhibition in Prague of children’s works that are based on animation. We did that, and the idea expanded; we wanted to actually show some Azerbaijani animation to Czech children. We invited some animation directors from Azerbaijan. And we also invited some Czech animation directors. 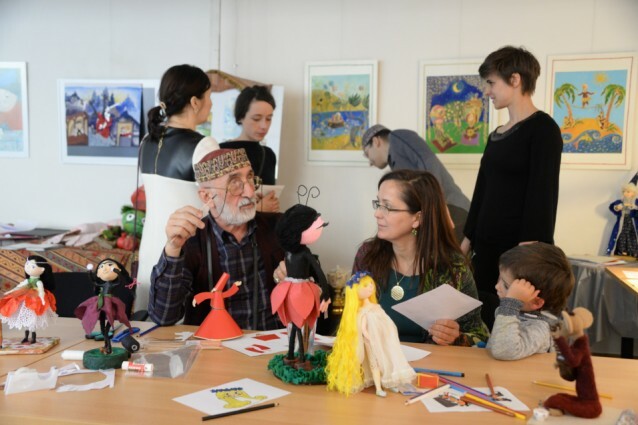 This was for children, but we wanted to have this type of exchange on a higher level, a professional level; we had workshops, lectures, and of course screenings of Azerbaijani and Czech animation. Then I thought it would be useful to write a short article about the history of Azerbaijani animation, because Czech people know nothing about it. And I didn’t know anything about it either. I started researching it, and when I did that, I gathered so much information that it would be enough for a book, not a short article. Then I realized that there are no books on the history of Azerbaijani animation. So I decided to write one. Very quickly I realized that I could not do it myself. It was too much; it would take ages to write a book if I did it myself. That’s why I contacted other film researchers, film historians and critics in Azerbaijan and in the Czech Republic. So, our book has become an anthology! Now there are 13 authors of the book. Eleven of them are from Azerbaijan, one is from the Czech Republic and the other one is from Slovakia. It was actually not easy to find these 13 people, because not many film scholars in Azerbaijan are interested in researching animation. 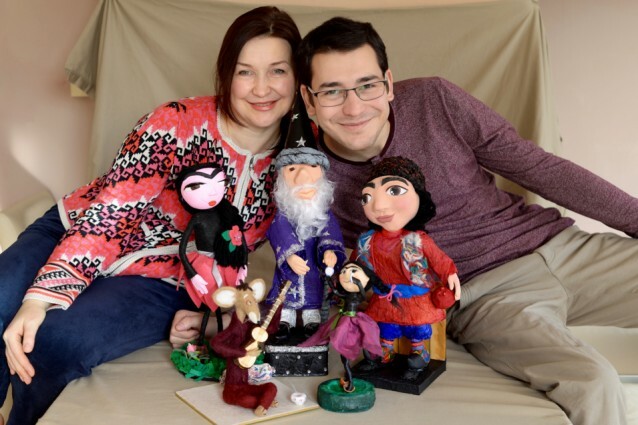 But I was lucky to find one woman – her name is Sevinj Azimova – and she is the only person in Azerbaijan who has written a doctoral dissertation about animation. She’s actually the only one who researches this topic on an academic level. So she wrote five articles for us. The other people each wrote one article, and I wrote six. We are extremely lucky that a lot of the oldest animation directors, painters, animators, screenwriters and cameramen are all alive. Almost all of them are alive! And they are the people who actually founded animation in Azerbaijan in the 50’s and 60’s. They are very old people now. Some of them are 70 or 80 years old. We are so lucky that we contacted them and they provided us with a lot of unique materials like storyboards, sketches, and photos that we can publish in our book. Before the book, you wanted to write a short article. Did you plan to publish that somewhere? Originally I wanted to write a short history of Azerbaijani animation in Czech, just for the visitors of our exhibition. They would come and see some kids’ works, see some Azerbaijani animation, meet our animation directors (two of them came to Prague just for the exhibition) and even watch a theatre play about the fairy tale character Jirtdan. I was thinking Czech visitors would be interested in reading some historical information. So I actually wrote it; it’s in Czech and it was published in 25fps.cz – a prominent Czech online film magazine (http://25fps.cz/2017/kratke-dejiny-azerbajdzanske-animace/). That was the beginning. Now it has become a book, and it is so precious for me. The book took us more than a year to write and edit. It is in two languages, Azerbaijani and Russian. We also want to translate it into English and Arabic. Do you think someday this book will take some other form, like a documentary? Actually, I’ve thought about it – to make a documentary about Azerbaijani animation. I have so much material and so many contacts, so this documentary could be very interesting. But now I want to finish the book, because the version which was published for the exhibition in just six copies is not the final version; we have added 100 pages and a lot of new photos in the latest version. Now we need money to publish it. We’re doing a crowdfunding campaign. [Shows me the book’s website, www. anima.az.] For now we’ve created this website about our book, but in the future it will be a web portal for animation in general. The name of our website refers to the Latin word “anima,” which means “life,” “breath” or “soul.” We hope our book and our website will give new life to Azerbaijani animation. [Points out a photo on the site.] One article was written by this famous film historian, Aydin Kazimzadeh. He’s 77 now. It’s a short history of animation in Azerbaijan from the 30’s until the present. It’s very interesting that Azerbaijani animation was the first animation in the whole Muslim world. At least, that’s what Aydin Kazimzadeh and other of our film historians say. So Azerbaijani animation began in the Soviet times? Yes. The first animation was used in documentaries made in the early 1930’s. It was called “technical animation;” it was basically explanations of how to extract oil from a well using oil machines. Regular animation for children started quite late, in 1965, when director Rasim Ismayilov made an animated television film called The Talking Lights. This can be considered to be the first Azerbaijani animation for children. Production in the Azerbaijanfilm studio began in 1969 with the animated film Jirtdan directed by Aganagi Akhundov and Yalchin Efendiyev. Tell me more about the significance of animation. Culture is just as important as your health. Animation is a very important art for developing the culture of our country. We need cartoons in the Azerbaijani language. Children now watch cartoons in Turkish and Russian, and some children maybe watch in English, but we need cartoons in our language. It’s good to know languages, but it’s crucial to know your own language as well. Animation has a huge influence on children’s speech, their national self-awareness and their knowledge of fairy tales and stories, because children don’t read books or newspapers yet – they cannot read; they just watch cartoons. Animation makes a strong impact on the development of children. Unfortunately, we don’t have departments of animation in our universities, so young talents cannot study animation on a high level. In Azerbaijan we don’t regularly make cartoons yet. But at the same time, we have this foundation. We have history. This book is history and we can start; based on that we can develop national animation. I visited the Azanfilm animation studio – it is the only state animation studio in Azerbaijan – and when Azanfilm workers saw the book for the first time, they said they were so proud that we have such a rich history. I think our book motivated them a lot. Now we’re trying to raise awareness of the importance of animation here in Azerbaijan. Because when you say “animation,” people don’t really realize what it is. It’s very important for ordinary people to realize how important it is for our children, for our future. That’s why we do these things. The book is our first step; the second step was a small conference we held in Azerbaijan State University of Culture and Arts. A lot of people were interested in this event – maybe 100 people came. The idea was to gather all animation studios of our country in one place, just for the simple reason of getting to know each other. And also to share our work and discuss important problems of national animation. Crowdfunding of our book Azerbaijani Animation actually started at the conference. 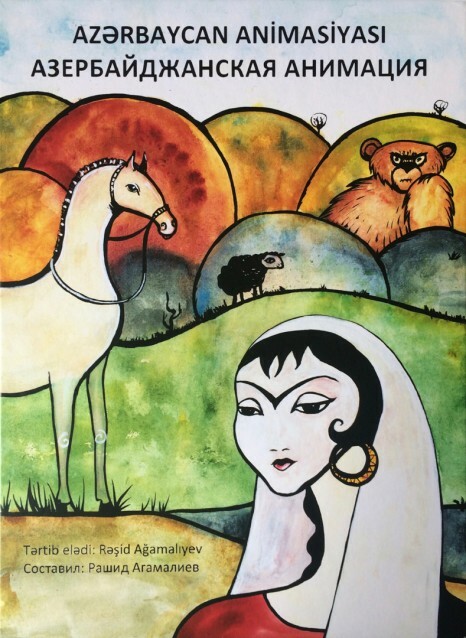 Once our book is published, I am going to sell it and the earnings will be used to give birth to a small animation film based on Azerbaijani culture and folklore. I see it as a co-production between several countries like Georgia, Czech Republic and Azerbaijan. My dream is to make something beautiful; something we can screen in international film festivals, be proud of, and show to our kids. You live in Europe and your worldview is so big, but you still have such patriotism for Azerbaijani language and culture. I cannot really explain why it happened, because my mother is Russian, and my father is Azerbaijani, and I could easily be Russian, not Azerbaijani. But everybody in the Czech Republic asks me where I am from, what my name means, what Azerbaijan is like, what language I speak and what my religion is. They ask all these questions about culture. So I started asking myself, what is my culture? What is my language? I kind of started this quest to find myself, my roots, and my culture. This is a very important question for me. I was asking myself what I can do next for the development of Azerbaijani animation. On 1 January 2018 I realised that we need a platform where we can share our love for animation, motivate young talents and interact with foreign professionals. 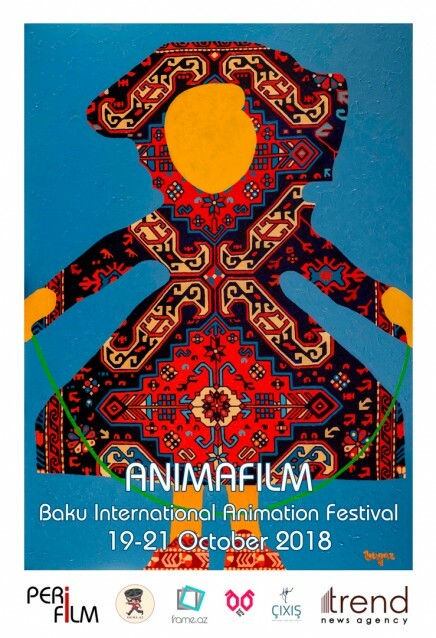 That is why I decided to organize ANIMAFILM – Baku International Animation Festival. This idea was the main topic of the first round table for animation professionals called Future of Azerbaijani Animation. All my animator friends supported this idea. With their help I am planning to organize the ANIMAFILM festival in October 2018. It’s exactly nine months from now. It’s the perfect time to have a “baby festival." Of course, the first edition of our festival will be small and modest, but we have to start somewhere. And I know our platform will be good motivation for young directors to finish their short films and show them at the festival. At the same time, we are planning to invite foreign authors so they can inspire local animators. Also, the official presentation of our book Azerbaijani Animation will take place at the festival. (Hopefully our crowdfunding campaign will be successful!). I am very passionate about the idea of our festival and I feel a lot of support from my animator friends. I believe that together we will make something very beautiful. I hope to see everyone in October! For more information, see the festival website: www.animafilm.az.